Everyone knows that eyes allow us to see. Yet do you understand the process of seeing? How does vision work? We’ve compiled these helpful resources to answer your questions about eyesight. The first step of sight occurs when reflected light bounces off an object and into your eye. This light must be focused onto your retina, which stimulates cells to communicate impulses via the optic nerve to your brain. The brain interprets these impulses into a visual image. While this describes the basic process, there are really many more stages and components of the eye involved. When any part of your functional vision doesn’t work optimally, you will require vision correction (such as eyeglasses or contact lenses) or vision therapy. In addition, many reading problems are due to a problem with the eyes, such as difficulty with convergence and accommodation. With children’s vision, an undetected vision condition can compromise learning and development. Dry eyes can also interfere with reading, driving and many routine actions. Even if you enjoy comfortable 20/20 vision for years, aging can bring about many changes. Presbyopia, age-related loss of near vision, typically develops after age 40. That’s why many people need reading glasses, bifocals or multifocal lenses to see clearly at all distances. Due to hormonal changes, itchiness, pain and redness from dry eyes may appear – especially in women. After age 40, everyone is also at an increased risk of glaucoma, retinal disorders and other eye diseases. Many usual tasks can place excess stress your eyes, such as viewing a computer, watching television and reading for long periods. All of these activities are common causes for dry eyes. 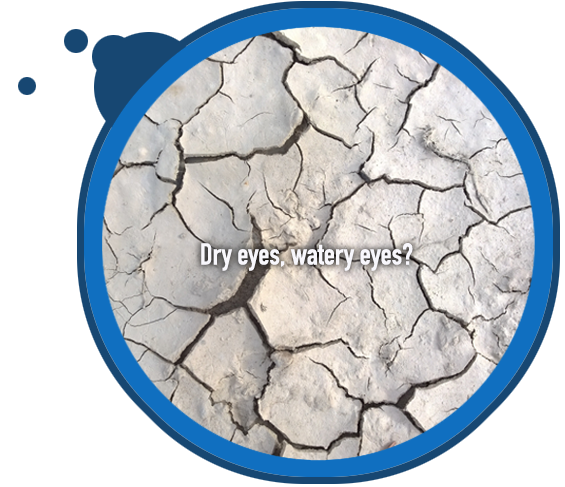 Our team of compassionate eye doctors can offer tips and treatment to relieve your dry eyes.